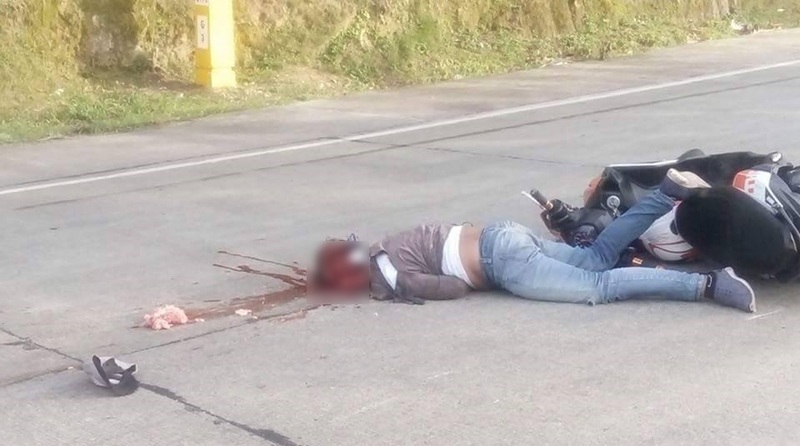 A man was killed after he was hit by a passenger bus while driving his motorcycle in Guindulman on Tuesday morning. The fatality, Romar Sardenia of Pinamungahan, Cebu, died on the spot due to severe injuries to his head, said Guindulman police chief Sr. Insp. Erano Regidor. According to Regidor, Sardenia’s head slammed straight into the sharp edge of the bus’s compartment door when he crashed. Sardenia was about to overtake a vehicle in front of him along a curve in Barangay Guinacot, Guindulman but was met by a fast approaching Unison bus at the opposite lane. He still tried to avoid the bus which was partly on the wrong lane due to the sharp turn, but the large vehicle still hit his motorcycle. Regidor said that Sardenia’s injury could have been non-fatal had he worn his helmet which was only hung at the side of his motorcycle. Meanwhile, a reckless imprudence case was filed against the bus driver, identified as Almario Bendijo, 46, of Mahayag, San Miguel, on Wednesday. The bus was impounded by the authorities.